Louise Clover Boldt married Alfred Graham Miles. Eva M. Walton married Frank Pierce Houghton, son of Abiather L. Houghton and Sarah T. (? ), in Sep 16, 1907 at Westfield, Hampden Co., MA, USA, age 60 and 52; his 3rd wife. Judith L. (?) married Douglas Warren Houghton. Heidi Houghton married Kevin Zabel. Kevin Zabel married Heidi Houghton, daughter of Douglas Warren Houghton and Judith L. (?). 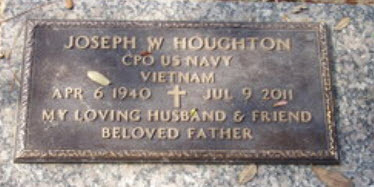 Joseph William Houghton married Judi Darlyn Gerard. Judi Darlyn Gerard married Joseph William Houghton. 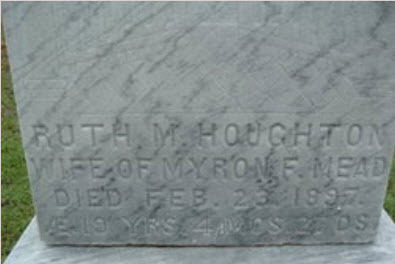 Martha E. Houghton married (?) Dickinson. (?) Dickinson married Martha E. Houghton. Burial Grand Lawn Cemetery, Detroit, Wayne Co., MI, USA, Plot: Section 3: "Husband"
Barbara Ann (?) married Lee Maurice Houghton Jr, son of Lee Maurice Houghton and Eugenia Esther Janusz. James T Cooney married Lydia M. Houghton, daughter of Hamor Josiah Houghton and Harriet E. Brown. Lydia Bowker married William Paxton Houghton, son of Zarah Houghton and Eleanor Derby, in Jan 13, 1857 at Worcester, Worcester Co., MA, USA, age 71 and 49, his third, her second. James Rice married Paulina P. Houghton, daughter of James Independence Houghton and Sally Ann Ferris. Myron F. Mead married Ruth M. Houghton. Ruth M. Houghton married Myron F. Mead.